Make It Wonderful is the forthcoming new single from SynthPop legends Erasure. From what we’ve heard so far it sounds like an slick return to form for Vince and Andy. Amongst the plethora of reMix talent involved in the release, including the amazing Chad Valley, come this blissful rework of the track from ElectroPop globetrotter Bright Light Bright Light. 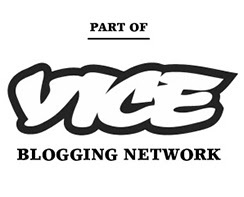 euphoric 90s House vibes to follow. Bright Light X2’s obsession with all things 90s has never been a secret, and with this reMix he wears it on his sleeve. This reimagining of SynthPop as 90s House Pop works perfectly, complete with all the trappings of the genre, from the the ponding beats, to the piano hook to the shimmering twinkly bits. Whist we usually see Bright Light Bright Light is a singer/songwriter, it turns out he’s not to shabby at the old reMix. Erasure goes dancefloor anthem! Erasure have just released the second single from their current, Frankmusik produced, ElectroPop masterpiece, ‘Tomorrow’s World’, ‘Be With You’. Included in the reMix packager is this take on the track from London Indie-Pop trio Starshapes who turn in a sweeping five minutes of eclectic SynthPop. With a bit of a New Order flavour mixed in with modern a Indie production sound the reMix stands out on the single and makes Starshapes stand out as an act to keep an eye on. The ‘Be With You’ single is out now. 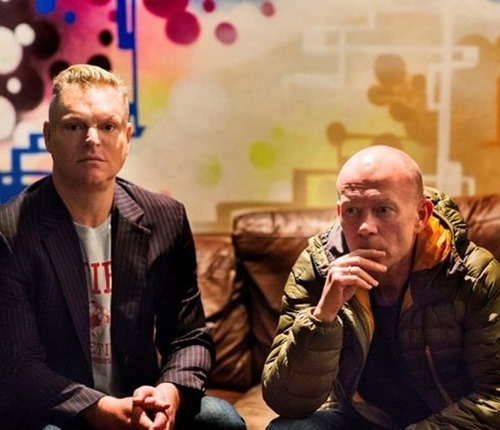 Here’s your first taste of what to expect from the eagerly awaited new Erasure album. eagerly awaited not only because it is Vince and Andy’s first studio album since 2007 but also because it has been co-produced by contemporary SynthPop marmite Frankmusik. The track is ‘When I Start To Break Down’, to be the new single, and bodes very well for the album. There’s a certain epicness to the track that you can see coming both from Andy’s solo work and, more definitely, from Frankmusik. It’s got that heartfelt, with a hint of majestic, melodic quality that Frankmusik used to be so good at before he tried to become an AutoTuned American Hip-Pop nightmare (come home Vince!). The song though, is very much an Erasure track though, but Andy’s Vocals and Vince’s writing shine through and gives up high hopes for the new record. The track also shows what a talent Frankmusik still is, he’s just fallen in with a bad musical crowd or something. ‘When I Start To Break It All Down’ will be the first single from the forthcoming ‘Tomorrow’s World’ album, it’s released 29th August . Right, so we told you about Erasure new version of ‘A Little Respect’ earlier this week, but the streaming track was a no go and I didn’t even want to ask for permission to offer the track as a download ‘cos, y’know, its a charity record. A song and a cause that deserve some of your hard earned. Anyway, you can listen to it now, and, indeed, watch it courtesy of the just released promo clip. Interestingly, this new ‘HMI Redux’ was mixed by none other than Kap10Kurt! The ‘HMI Redux’ of ‘A Little Respect’ is out now. Out this week is a brand new version of SynthPop legends Erasure’s classic ‘A Little Respect’. The ‘HMI Redux’ is a nice update to the original. In keeping with modern production methods its a lot fuller sounding, and just as damn catchy! MiMó is, or rather was, Erasure’s Any Bell. Having recently released his second single, ‘Will You Be There?". ‘, under the moniker (a tribute to his friend Tomeau Mimó), Andy had decided to release future records under his own name due to more than one artist already using the name Mimo. The singles, ‘Running Out’ and, the current, ‘Will You Be There?’ are a couple of Italo influenced ElectroPop/EuroPop tunes produced by Pop producer extraordinaire Pascal Gabriel. Upbeat, dancefloor, Pop tracks with Andy’s unmistakable vocals both singles have an impressive line up of reMixers. ‘Will You Be There?’ can include amongst it’s reMix credentials this mix from French Horn Rebellion who bring a relaxed Nu-Disco flavour to the track and ‘Running Out’ features a mix from Indie-Electro band-of-the-moment Fenech-Soler who’s sweeping, chilled, Electro mix is the highlight of the single. Both singles are out now!